Scott and Chris have been friends since they began swimming together as sophomores in high school. Many used to mistake them for brothers, both tall, skinny, dark-haired, and stunningly handsome. Today, they still look like brothers, both tall, about 50 pounds heavier, thinning hair, and stunningly handsome. Chris is a captain for Chautauqua Airlines and lives in Indianapolis. Kent and Scott have also been friends since high school. 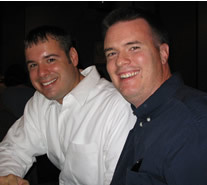 Kent and Scott moved to Texas at the same time, in the summer of 1996. Kent moved to Houston and Scott to San Antonio. Since they didn't know many other people, they would spent many weekends hanging out in each other's cities. 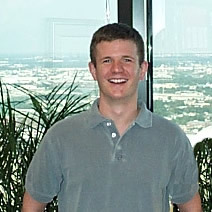 Kent is a partner in a law firm and lives in Houston. Roger is Monica's brother. Roger and Monica are the perfect picture of brotherly and sisterly love. Roger is constantly reminding Scott that there is still time to get out, before it's too late, and Monica constantly reminds Roger that he's adopted. Roger is employed by Bed, Bath and Beyond and lives in San Antonio. 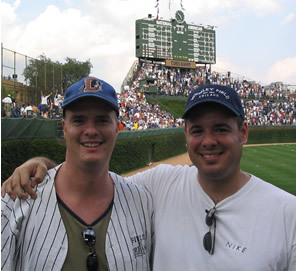 Roger and Scott met when Scott and Monica moved to the Chicago area in 2001. Roger and Scott worked and coached together at Lindop School. Being the two youngest men at a school full of women created a quick bond between them, and they have remained friends even though they now live in separate states. Too bad, ladies, Roger's spoken for! The only groomsman who is married, Roger will be celebrating one year of married bliss later this summer. 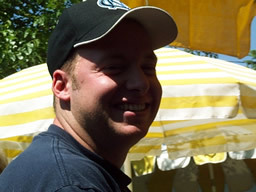 Roger is a PE teacher and lives in the northwest suburbs of Chicago. 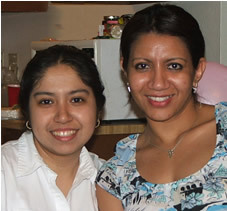 Maria and Monica met while working at Horace Mann Middle School. An Our Lady of the Lake Alum like Monica, personal experiences and likenesses made their friendship blossom. Maria still teaches 8th grade math at Horace Mann Middle School and lives in San Antonio. She is engaged to Gregg Gonzales and will be getting married in July of 2006. Monica and Yanira have been friends since elementary school. They attended the same high school, college and even moved to the same state in 2001. 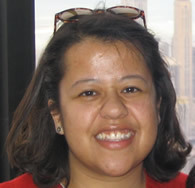 While in Illinois, Yanira attended graduate school in Champaign (U of I) and then returned to San Antonio in 2004. Four months later, Monica followed Yanira back to Texas. Yanira recently married Hernando Cruz. She is a librarian in San Antonio. Sarah is Scott's younger sister. When she's not busy being an award-winning costume designer, she's attending graduate school to become a librarian. She will be taking time out from an internship in New York City (New York City?! Get a rope...) this summer to stand up in the wedding. Sarah also designed and made Monica's veil. Sarah works for the Steppenwolf Theater and lives with her boyfried, Chris Hainsworth, in Chicago. Stacey is Scott's cousin and along with her husband Matt, helped Monica and Scott feel welcomed when they first moved to Chicago. The youngest member of the bridal party, Stacey also has the most experience with married life. 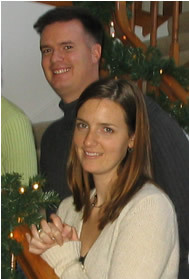 She was married to Matt Weeks in September of 2001, and they have a 1 year old daughter named Mayah. Stacey, Matt and Mayah live in Lisle, Illinois, a suburb of Chicago.